Since its establishment in 1859, Yme Kuiper has developed from a flour mill, where the first generation ground flour, to an excellently equipped company with more than sixty employees. Scroll down to see our timeline and learn more of Yme Kuiper’s history. 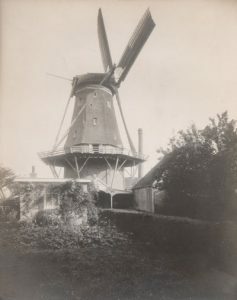 The company’s history begins with Berend Jans Kuiper, who was not only the town treasurer for Kuinre, but also owned a windmill at the start of the nineteenth century. His son IJme was born in 1838 and he started working with his father in the windmill at a young age. IJme married when he was 20 years old and he settled as a miller in Oldemarkt. Since the mill did not provide a very good living, he searched for a new venture in Heerenveen. On 5th August 1862, windmill ‘De Windhond’ located at the Molenwijk in Heerenveen, was purchased for the price of NLG 7,100 (equivalent to EUR 3,221.84). IJme Kuiper milled flour for bakeries. Twenty years later, he and his family moved into the mill ‘De Volharding’ in Het Meer in Heerenveen. IJme was a socially-engaged man. He had the same ideas as Ferdinand Domela Nieuwenhuis, who was a regular visitor at his mill. Together, they organized meetings for local workers. In the early 1900s, Berend-Jan, one of IJme’s two sons, followed in his footsteps. Life was not easy for a miller at that time, because windmills were having a hard time as a result of industrialization. Despite that, Berend-Jan remained a miller for his entire life. IJme’s other son, Matthijs, was not so interested in becoming a miller and went to technical school in Amsterdam, where he learned to become a carpenter. At the age of 27, Matthijs went to Africa, where he helped build the government building in Pretoria. The start of the Boer War in 1897 forced him to return to the Netherlands, where he joined the family company. The company was then mainly concerned with milling baking products for a price of 20 cents for a sack of coarse rye (for rye bread) and 40 cents for a sack of fine rye (for biscuits). They decided to purchase a petrol motor, so they were no longer dependent on the wind. In 1923, Berend Jan and his son IJme continued the company under the name Firma IJme Kuiper & Zonen. Since they no longer milled to customer orders, they had to focus on their own trade. The company traded in grain, flour and fodder. They also became an agent for the Vereniging Nederlandse Meelfabrieken (Dutch Flourmill Association) in Rotterdam. One of the oldest employees, Wiebe van Dijk, joined that company in Heerenveen. The first car was purchased to make deliveries. 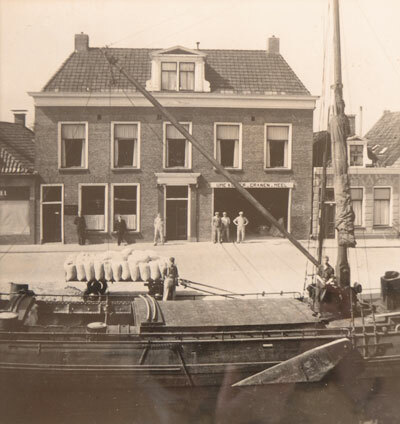 The company also became an agent for the flour factory Sas van Gent and soon afterwards they started representing the Wessanen Koninklijke Meelfabriek N.V. in Wormerveer. After a number of difficult years during the great recession (end of the nineteen twenties), IJme Kuiper continued the company under his own leadership. The trade in fodder became less important and the trade in wheat flour, wheat meal and rye flour became the main activity. Thanks to IJme Kuiper’s enormous drive and work ethic, the company started to recover. In the period between the two World Wars, IJme decided to do things differently. Partly thanks to the relationship the company already had with Wessanen Meelfabriek, he was able to become a flour trader instead of a flour producer. IJme built new company premises on the outskirts of Heerenveen. A few years later, the company moved to new premises yet again. This time, they moved opposite the Posthuis. Business went well and the company soon had to expand again. During the Second World War, the premises from the Raad van Arbeid on the Herenwal was purchased. There was enough space behind the building for a large warehouse and the company was located on the water’s edge, where barges could easily be unloaded. It was initially not so easy, though, because the quay was high. An ingenious rail system was constructed to hoist up the trolleys loaded with sacks of flour. During that time, the company only traded flour from Wessanen. Occasionally, a small batch of American flour would arrive, which was used to bake special rolls. In 1950, Berend-Jan (Bennie) and Jacob Roelof (Jack), IJme’s sons, joined the company. Each family occupied half of the top floor of the building. As it turned out, Bennie was more interested in the car trade and he decided to pursue a career there. Jack, on the other hand, remained in the family business. Jack was Henk and Yme’s father. The Kuiper family lived above the business until the end of the nineteen sixties, so the boys always had a prominent outlook on the boats that were being unloaded. By the end of the nineteen sixties, less freight was transported by boat. Lorries were cheaper and they could also be unloaded on the road, which was easier. The sacks of flour were delivered on pallets and driven into the warehouse using fork-lift trucks. But that caused a different kind of problem. The lorries blocked the road, so the traffic on the Herenwal, the major north-south route through the town at the time, came to a standstill a couple of times a week. It was time for the company to relocate again and it found a new location on the Leeuwarderstraatweg, close to the houseboat harbour. This was also on the water’s edge, even though that was no longer necessary. In the meantime, father Jack saw the flour trade undergo changes. Supermarkets arrived and small bakeries disappeared. Add to that the changes in transportation, such as transport on large pallets, paper sacks and storage in silos. Distribution in the immediate vicinity disappeared, while the distribution area became larger. In short, times got tough and you just had to do the best you could. Jack looked at the situation and knew something had to be done. He started trading in sugar and salt, alongside the flour for Wessanen. He also delivered sacks of special flours to a number of bakeries. He remained a free agent and decided, in the end, not to work for Wessanen. He had built up many contacts over the years and at the start of the nineteen eighties, he met a raisin importer in Belgium. The large bakeries that delivered to supermarkets had a great demand for raisins. At that time, large volumes of tropical fruits were delivered to the pioneers of the industrial bakeries in the north of the country. As a result of the large volumes, these bakeries wanted ready-to-use products, such as products that had already been washed and soaked. The nineteen eighties were economically uncertain times and it was, therefore, not surprising that Jack advised both of his sons to learn a trade and not to rely on the family business. Yme went to study law and started working as a lawyer specializing in agricultural law. Later, he also took on other responsibilities. For example, he was involved in football club SC Heerenveen from an early age, where he fulfilled a number of mostly volunteering roles. At the end of the nineteen nineties, he was officially appointed director. He combined this job for a number of years with his job as a lawyer. In the meantime, Henk had joined his father’s company in 1990 and a couple of years later, Yme and Henk took over the company. Since there was a demand for washed raisins, that was the way forward for the company. In 1996, they invested in a washing line for the premises on the Leeuwarderstraatweg. They imported the raisins themselves and washed and prepared them for industrial bakeries. During this time, the quality requirements for food processing became increasingly stricter and they had to make further investments in order to remain certified. 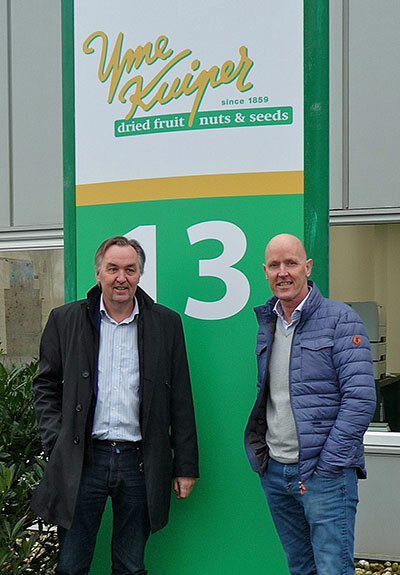 That was a hard nut to crack and it was quickly decided that it was probably more sensible to build a completely new company at the Friesland-West business park in Nijehaske. The new building had a raisin washing line and a warehouse. 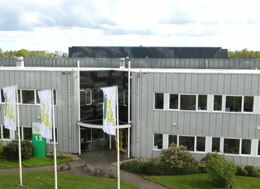 The company moved to the new premises in October 1998. Since the company was very successful, it quickly outgrew the new premises. With an eye on the future, an option to buy the adjoining land had already been taken out. It was a good thing they had done that and in 2007, large warehouses and a number of new production lines were built there. In 2013, they bought the premises across the road for the office and the processing of seeds and nuts (the dry production facility). Three wonderful premises and another expansion in 2017: a connection between the two production locations. It may be obvious that both Henk and Yme have been working full-time for the family business for the last few years. They deliver products throughout the Netherlands and Belgium, as well as to parts of Germany, Denmark and England. A total of 60 employees ensure that the company produces high-quality products 24 hours a day. The tropical fruits, nuts and seeds come from all over the world. They have suppliers in Turkey, Greece, South Africa, China, Afghanistan and the United States, amongst others. Jack sadly died in 2015. He was 85 years old and could be found at the company every day until late in his life. It is unclear at the moment whether the children of the Kuiper brothers will take over the company. But who knows what the future holds? Maybe even a sixth generation of the Kuiper family will work in the company.